Each year, more than a million visitors descend upon Peru’s most famous tourist attraction — the 15th century Inca citadel, Machu Picchu. Many will also visit the Sacred Valley and Cusco on the way to or from these famous Incan ruins. 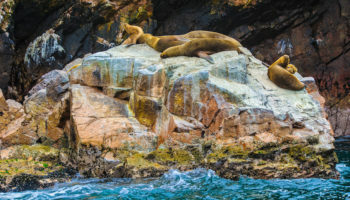 Unfortunately, most visitors will then head home, unaware that Peru has so much more to offer than just Machu Picchu. 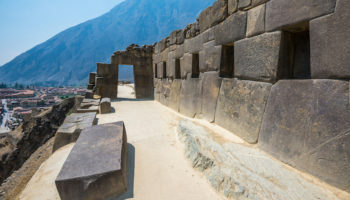 In fact, there are many other interesting ruins, energetic cities and amazing natural destinations in Peru — including the Amazon, one of the deepest canyons in the world, and Lake Titicaca, the highest navigable lake in the world. Because it is still very affordable, Peru is a great country for backpackers and adventurers. And one of its most popular towns with backpackers is Huaraz. This Andean city is a great base from which to go mountain climbing, rafting or biking in the summer or skiing in the winter. Hiking is another popular activity, and treks range from moderate to strenuous. One of the best known hikes is Laguna 69, which will take you to a stunning lake. 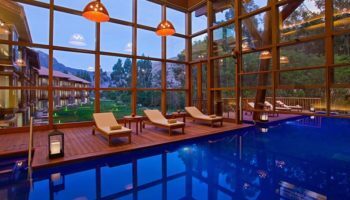 If you do decide to participate in any adrenaline sports or go hiking in Huaraz, it’s important to take some time to acclimate to the altitude. Huaraz is located at 3,000 meters (10,000 feet) above sea level, which some people may find difficult to deal with. There are two main gateway cities to the Amazon in Peru — Puerto Maldonado and Iquitos. Although both cities can be reached by plane or boat, only Puerto Maldonado is accessibly by vehicle. There is one other major difference between the two cities when it comes to exploring the Amazon. 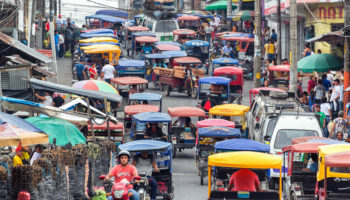 Iquitos offers both Amazon cruises and lodge tours, while Puerto Maldonado — which is located near the Manu National Park, Tambopata National Reserve and Bahuaja-Sonene National Park — has lodges, but no cruises. While many people stop only briefly in Puerto Maldonado before departing into the jungle, this city does have several interesting sites, including an eight-story lookout tower known as the Obelisk, where you can enjoy outstanding views of the surrounding area, and Monkey Island, which is home to hundreds of monkeys. This town has earned a reputation with surfers as a great destination in Peru to catch a wave or two. But it also has other claims to fame. For instance, some believe that Huanchaco may have been the birthplace of Peru’s most iconic dish — ceviche. So you’ll definitely need to sample the local version of this iconic Peruvian dish. Huanchaco is also situated close to the impressive ruins of Chan Chan, which was the largest city in South America during the pre-Columbian era. And while in Huanchaco, you’ll definitely want to take a few pictures of the unique reed boats used by the local fishermen. 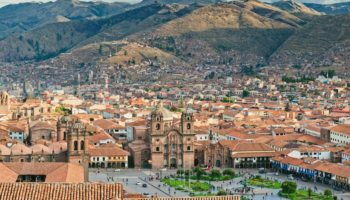 Overshadowed by Cusco and Machu Picchu, Peru’s capital is often overlooked by tourists, especially in the popular months of July and August when the city is frequently covered in a cold, thick fog. 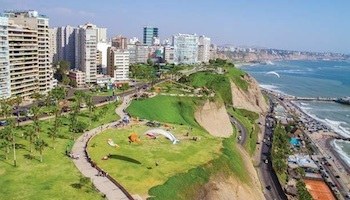 However go here in the southern hemisphere summer and you’ll find a different Lima. It boasts several tourist-friendly neighborhoods including artsy Barranco and Miraflores, which sits high atop cliffs overlooking the Pacific Ocean. Lima is also a foodie paradise. It, in fact, has more restaurants on the San Pellegrino World 50 List than any other city except for Tokyo. Cotahuasi Canyon, which was formed by the Cotahuasi River, is the deepest known canyon in the world and it is, in fact, twice as deep as the Grand Canyon. However, it rarely receives foreign visitors because of its remote location and most visitors head to nearby Colca Canyon due to its better accessibility. If you should decide to visit, consider hiring a guide to take you hiking in this wild and pristine area. Or if you’re very adventurous, you might even want to try rafting the Class V whitewater rapids of the Cotahuasi River. 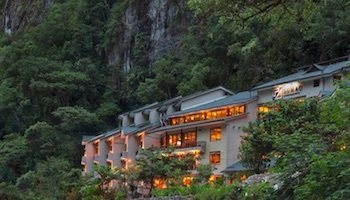 You’ll also find many interesting historic sites in the canyon, including Inca and pre-Inca ruins and petroglyphs. When Lima residents want to get away from this city’s perpetually gray skies during the winter months, many of them head to Punta Sol. 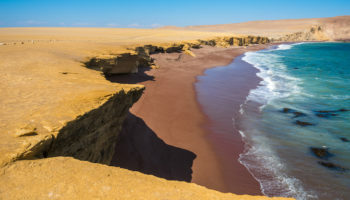 This beach resort, which is located in Northern Peru, offers visitors beautiful, blonde sands, sun and warm temperatures. If you love water sports, you’ll find plenty to enjoy in Punta Sol, including snorkeling, deep sea fishing, whale watching, kite surfing or scuba diving. Of course, if your preference is to lounge on the beach, soaking in some warm rays, Punta Sal is also perfect for that, as well. 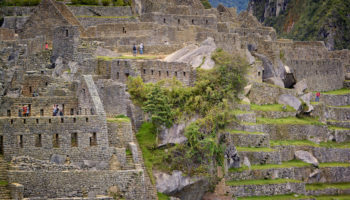 Built between the 6th and 16th century, this fortress was home to the mysterious Cloud Warriors or Chachapoyas, who lived in Peru about 800 years before the Incas. Today, Kuelap is the largest stone ruins in the New World, and the site contains more than 400 structures. Human remains are also scattered throughout Kuelap. As amazing as Kuelap is, very few visitors make their way up to see this ancient citadel because of its very remote location. However, the Peruvian government is working on changing that. It is currently in the process of building a cable car system, which will whisk visitors up to the site in just 20 minutes. Want to visit a charming city still off the beaten tourist path? Then head over to Tarma, which is also known as La Perla de los Andes — or the Pearl of the Andes. Although this charming city is situated in the highlands of Peru, it is also located close to the jungle and so is sometimes used by travelers as a base for exploring the central Amazon. Tarma is also famous for its beautiful flowers. So many travelers will try to time their trips to Tarma for the spring when the flowers are in bloom (remember, though, that the seasons are reversed in the southern hemisphere). Another popular time to visit Tarma is Easter. This is when the locals use flower petals to create magnificent floral “carpets” on the streets. This colonial city was the site of the bloody Battle of Ayacucho, which was fought between Spanish troops and a revolutionary army that included soldiers from Peru, Venezuela, Columbia, Argentina and Chile. The revolutionaries were triumphant, and this battle was considered the decisive one in winning Peru its independence from Spain. Today, the city is known for its 33 richly decorated churches — one for each year of Jesus’ life and for its large religious festivals. Easter, for example, is celebrated in Ayacucho with fireworks and a huge party on the Saturday before Easter Sunday. This underrated city also has its own version of the running of the bulls. Another reason to visit Ayacucho? Many significant archaeological sites can be seen in the area around this colonial city. 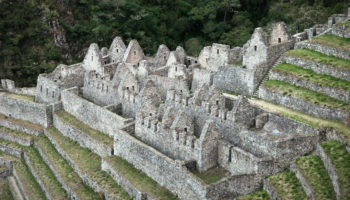 Like Machu Picchu, Choquequirao was an important Inca citadel. Some people believe that it may have even been the last refuge for the Incas as they tried to stay ahead of the Spanish conquistadors. 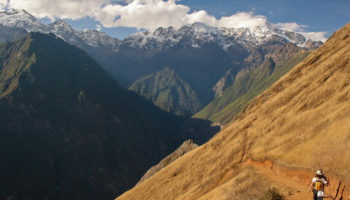 But while thousands of visitors descend on Machu Picchu each day, only about 30 a day make it to Choquequirao. And that’s during the high season. The problem? These ruins, which are believed to be three times larger than Machu Picchu, are located in a very remote region of Peru, and the hike to reach them is very long and strenuous. The Peruvian government, however, is currently working on a cable car that will cut the journey down from several days to 15 minutes. So it’s possible that these ruins will become just as popular as Machu Picchu in the very near future.